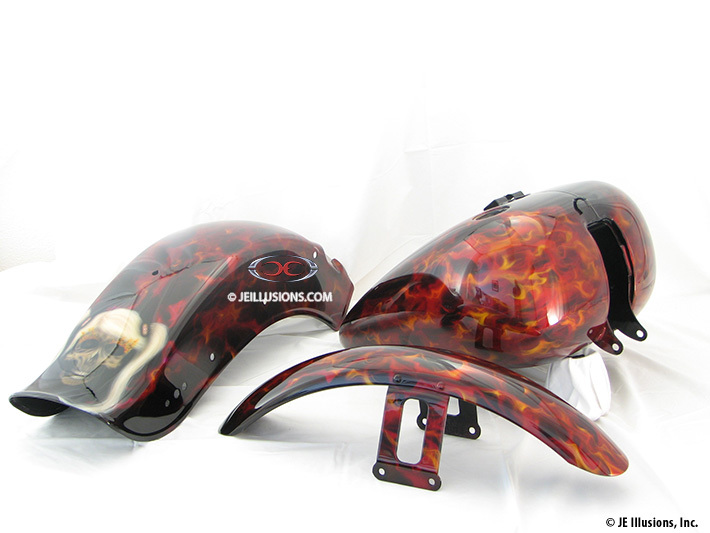 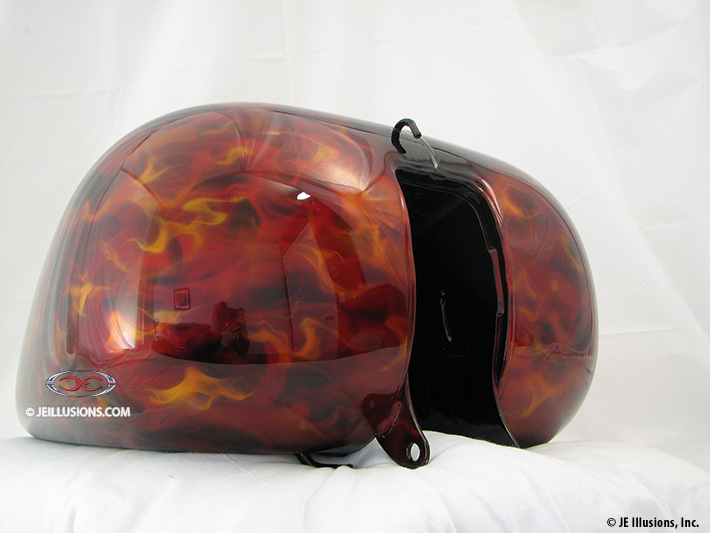 This paint job has our signature layered, realistic flames using orange, yellow, red and magenta to create all the colors. 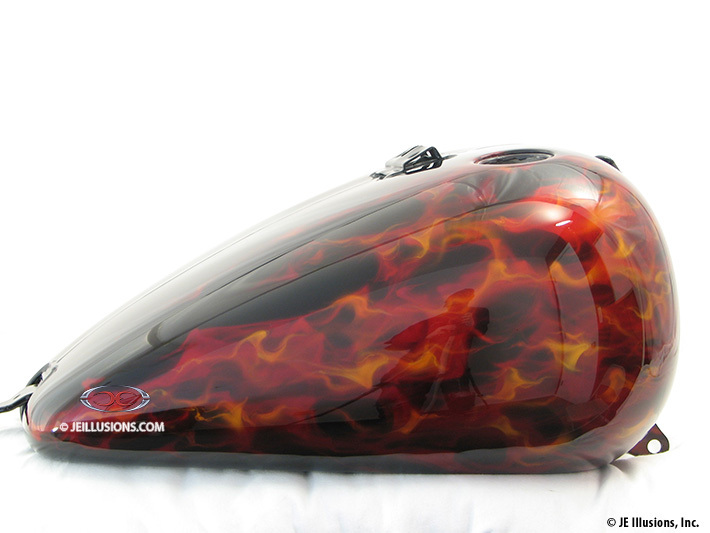 The flames are coming down both sides of the tank and on the fenders and sit on top of a jet black base. 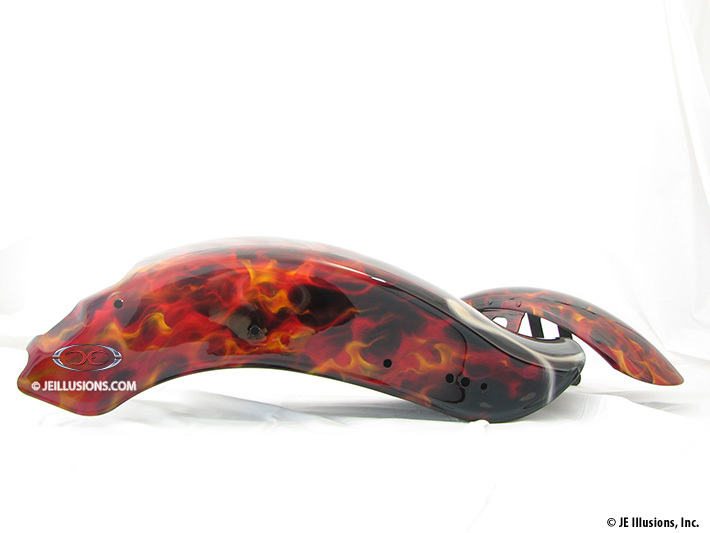 On the back of the fender is a very nice hand air brushed female skull head, complete with pigtails and fire eyelashes!